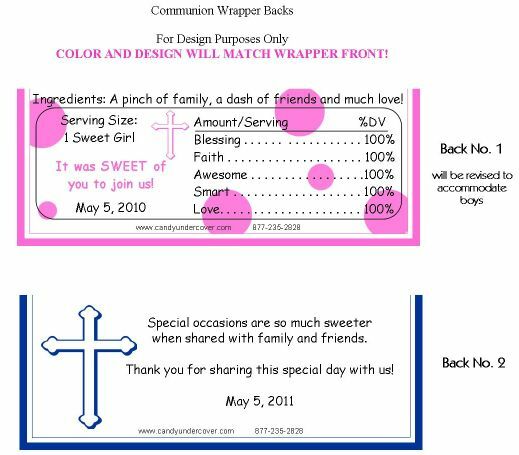 This beautiful lavender and white striped First Holy Communion Candy Bar Wrapper makes the perfect Communion Party Favor! 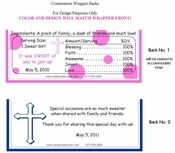 For that special girl who loves purple, this Candy Wrapper has a beautiful purple cross on the front and back. Your child's name sits proudly displayed on the front of the wrapper to commemorate this special day!